The Trump administration has extended temporary protection for nearly 7,000 Syrians in living in the US as war continues to ravage their country. They were shielded from deportation under a humanitarian programme, Temporary Protected Status (TPS). 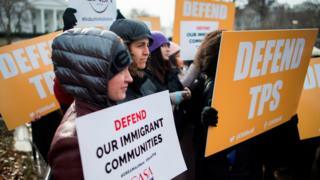 The president has cancelled TPS programmes for various countries in recent months, affecting immigrants from El Salvador, Haiti and Nicaragua. The extension does not apply to any new or recent applicants from Syria. For Syrians already living and working in the US, TPS will be extended for another 18 months. But Syrians who entered the country after August 2016 will be excluded from the programme. Created in 1990, TPS allows immigrants from countries deemed unsafe to lawfully live and work in the US. It is used by hundreds of thousands of people from 10 designated countries that have been hit by problems such as natural disasters or civil conflicts. Since 2011, Syria has been embroiled in a civil war that has caused millions to flee and hundreds of thousands of deaths. Protections were set to expire for Syrians on 31 March, but with the extension will now last at least another 18 months. "It is clear that the conditions upon which Syria's designation was based continue to exist, therefore an extension is warranted under the statute," Secretary of Homeland (DHS) Security Kirstjen M Nielsen said in a statement. 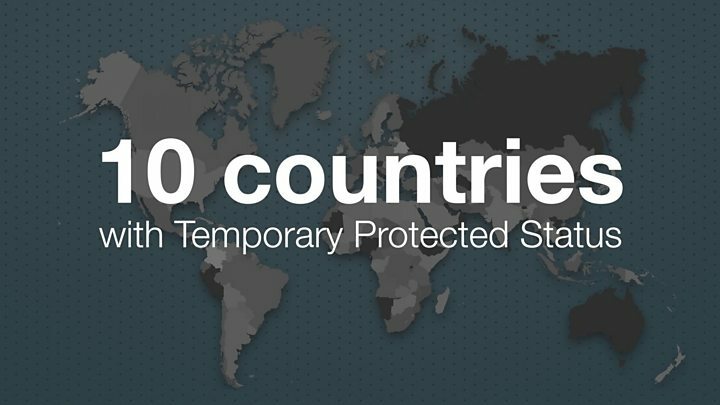 "We will continue to determine each country's TPS status on a country-by-country basis." Earlier this month, DHS announced it would end protected status for 262,500 Salvadorians with an 18-month delay. In November, the administration said status Haitians and Nicaraguans would also end in 2019. Media captionWhat is temporary protected status? Video El Salvador ruling: What is temporary protected status?